Cabinet ministers have cast doubt on the true motive for Avigdor Liberman’s resignation from the defense ministry, disputing his claim that it was because he believed the ceasefire with Hamas was a surrender to terror. “Liberman never said he had any dispute with the prime minister, and then in recent weeks, he started to present an extreme view about a truce [with Hamas],” Public Security Minister Gilad Erdan (Likud) told Army Radio on Sunday. “Before that, he was part of the ceasefire talks, including talks with Cyprus about building a port for Gaza. “I don’t ever remember him asking the IDF to present alternatives for a broader attack,” Erdan added, contradicting Liberman’s insistence that he had pressed for a stronger military response. 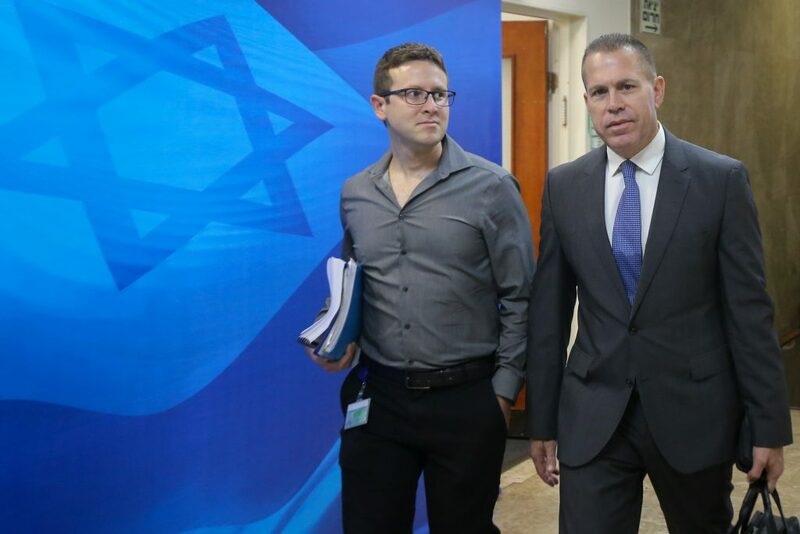 Erdan asserted that Liberman’s resignation was a purely political and cynical pre-election maneuver. Communications Minister Ayoub Kara expressed similar views following the resignation last week. “The man who was defense minister for two and a half years, now he criticizes the government?”, he said in an interview with Arutz Sheva. “He should ask himself why he did not do this two years ago. “It is possible that Liberman did not intend [to resign previously], but he should have thought twice or at least resigned at a different time and not immediately after the municipal elections, because he may have thought that the prime minister would go to elections within days. Israeli Minister of Internal Security Gilad Erdan. ANALYSIS: Will Anger Over Ceasefire Lead to Liberman’s Resignation?